TOKYO - The plight of a lonely dolphin and dozens of penguins that have been abandoned in a derelict aquarium in Japan since the start of the year sparked protests this week, with activists and ordinary Japanese alike calling for the animals to be saved. 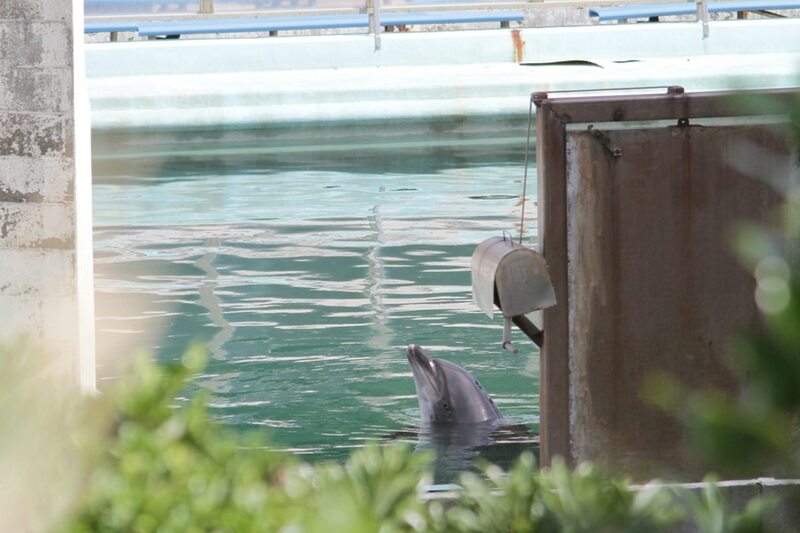 The female bottlenose dolphin, nicknamed Honey, was captured in 2005 near Taiji, a western port town that has become notorious for its annual dolphin hunt that was featured in the Oscar-winning 2009 documentary "The Cove", media reports say. "Honey is a symbol of both the problem of marine parks and Taiji's hunting practices," said Akiko Mitsunobu, chief of aquarium issues for Animal Rights Centre, a local group. "When we went to check on the facility, she was showing signs of stress, putting her head weakly in and out of the water." "I get feelings of danger and doubt from the fact that they are so silent about this," said Sachiko Azuma, a representative of local activist group PEACE (Put an End to Animal Cruelty and Exploitation). "As a group that handles animals, they have a responsibility to explain what they intend to do with Honey and the other animals." News of the abandoned animals spread quickly over social media, with Twitter users posting photos captioned "Save Honey". A resort hotel's offer to give them a new home sparked a flood of retweets. "I beg the authorities to get in close contact with each other and push ahead with this," wrote one Twitter user.